The Andrew W. Mellon Foundation is a private foundation headquartered in New York City. Set to launch in September 2016, Accelerando will engage individual students from underrepresented communities over a multi-year period with extensive training, performance and learning opportunities, and will also offer guidance, counseling and assistance in applying for collegiate music programs. Participants will be selected through an audition process and will receive year-round instruction from a Nashville Symphony musician or highly qualified local instructor, along with summer workshops, camps, and classes. 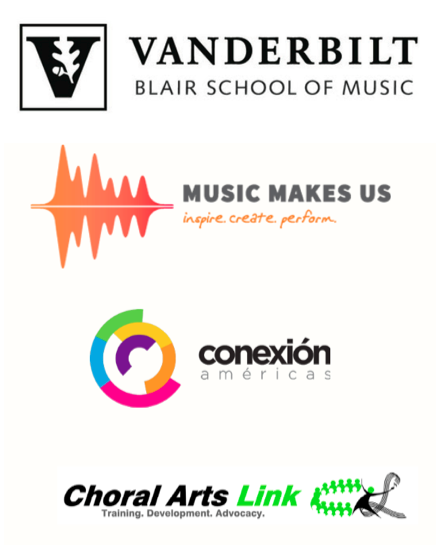 Accelerando was announced on September 28, 2015, and is being developed in partnership with Blair School of Music at Vanderbilt University, Music Makes Us (Metro Nashville Public Schools), Conexión Américas, and Choral Arts Link, with initial funding support in part from the Nashville Symphony Orchestra League. The Nashville Symphony will host a series of open meetings at venues throughout Nashville in January and February 2016 to inform students and their families about Accelerando, and auditions will be held on March 12, 2016 at W.O. Smith Music School. The complete schedule of information meetings as well as many links to articles about the launch of Accelerando from a variety of media sources may be viewed here. 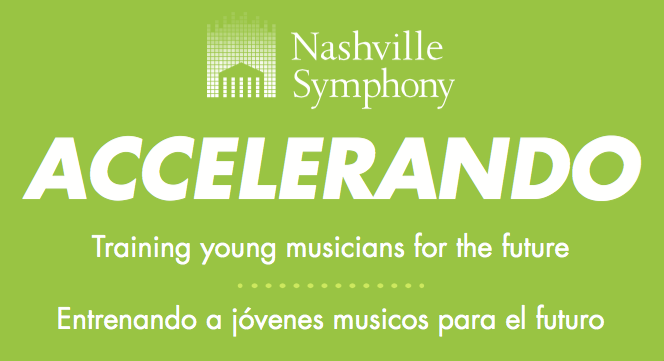 Full details about Accelerando are available at NashvilleSymphony.org/accelerando including the timeline for the launch of the program, audition eligibility and guidelines, and the application to audition. Download the full-color bilingual Accelerando brochure here: Accelerando2015. 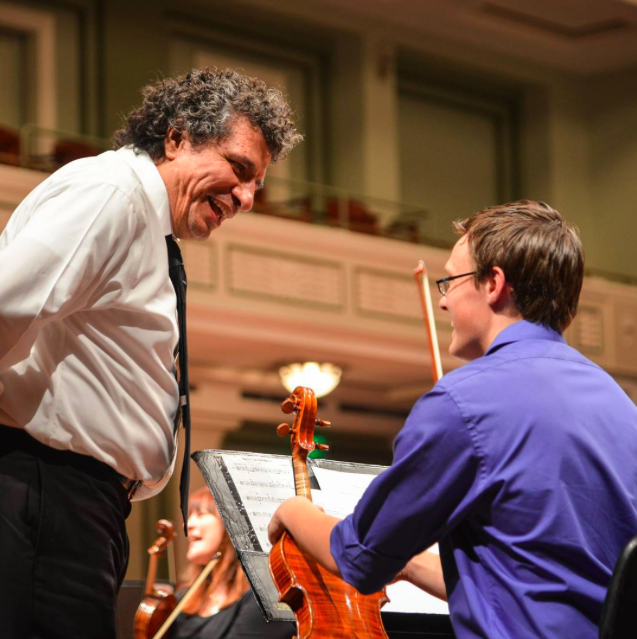 “America was founded on the idea that people of all backgrounds can achieve their dreams.” said Nashville Symphony Music Director Giancarlo Guerrero. “Accelerando will ensure that young musicians can pursue the dream of performing in a major American orchestra – and that our orchestras will one day soon reflect the diversity of our communities. Needless to say, I am thrilled to be able to share this news with you: preparing to launch Accelerando has occupied Kelly, Kristen, and me for much of the last year. It has been a tremendous effort both by many here at the Nashville Symphony as well as by representatives from our community partners, and we are all very grateful and humbled by the support of The Andrew W. Mellon Foundation. This award only strengthens our conviction of the importance of this program, its timeliness, and its potential for making a profound impact on the lives of young musicians as well as on the future of music not only here in Nashville, but across the country. Music Teachers: please help us find the right children for this program by sharing about Accelerando with students who may be qualified to audition, and encourage them to attend one of our upcoming information sessions and apply to audition. There will be much more to come…stay tuned to Off the Podium for updates as we prepare for our first auditions on March 12! 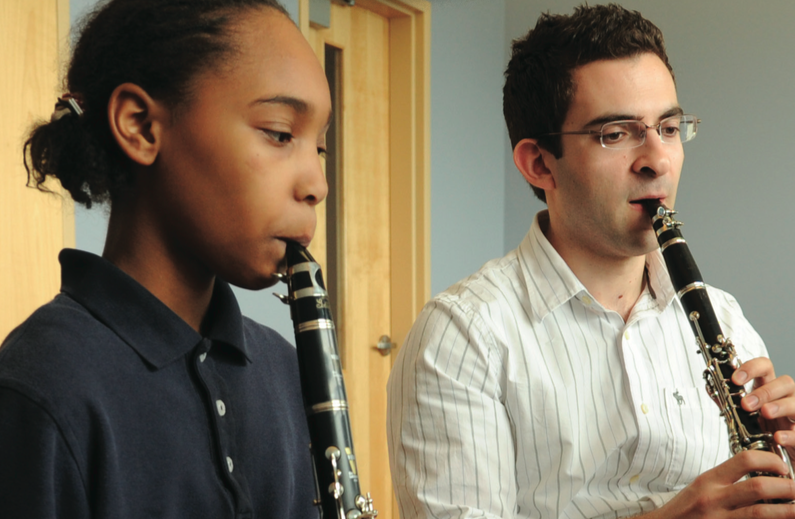 By walterbitner in Accelerando, Education, Music Education, Nashville Symphony, Nashville Symphony Programs on January 12, 2016 .